No matter where you’re headed this summer, set the mood with some tunes. We’ve rounded up our favorite portable speakers that can travel from the park to the beach, but work just as well perched on a shelf in the living room. Bring the dance party with you wherever you go with this adorable mini-disco-ball-shaped speaker. You won’t have to pack it in when the sun goes does because this powerful compact stereo holds an eight hour charge and features a color changing light display. This wireless speaker (available in black, silver, and red) is the perfect starter unit if you're looking for an at-home sound system that also happens to be portable. At a great price point, it offers surprisingly high-end sound quality. Bose is known for excellent sound projection and their adorable portable speaker offering lives up to that fame. It also comes in five different colors. Bonus: It has a reach of 30 feet, so you can leave your laptop or phone charging in the office while you play music in the kitchen or on the back patio. Sunglasses, towel... speaker? Your list of poolside essentials just grew by one. This waterproof speaker can follow the kids right into the pool, and can even be submerged in up to three feet of water. You could also bring it into the shower to give your morning karaoke sessions a boost. This tried-and-true favorite may be a little pricey, but it's well worth the splurge. 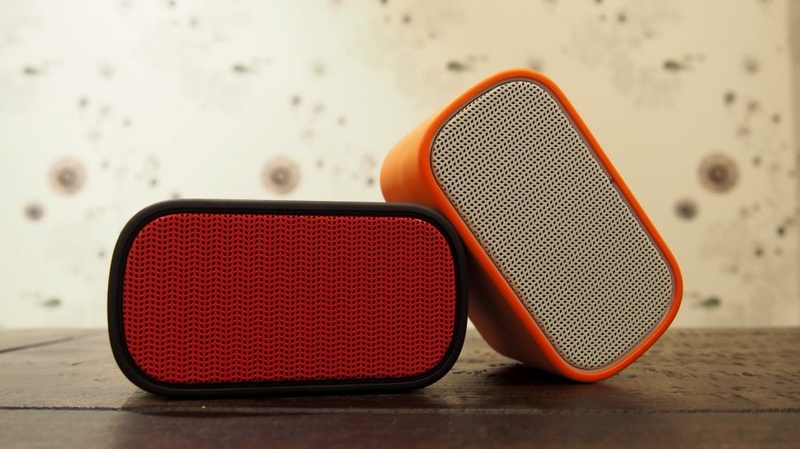 Not only does the Pill come in eight colors, but it also offers exceptional sound when pumping out the jams. If you have two, you can tap them together to extend the amplification. This sleek stereo comes in three neutral colors and can fit into your back pocket as you enjoy the summer day. With a 10-hour rechargeable battery and button controls on the speaker itself, you can leave your phone protected poolside in a bag while still being able to regulate the sound. This white and gold stunner (we swear it’s not blue and black) can be strapped onto the handle of a beach cruiser or hung from a stroller for a chic on-the-go sound system. Plus it is super lightweight so it can become a staple in your purse for impromptu picnic entertainment.